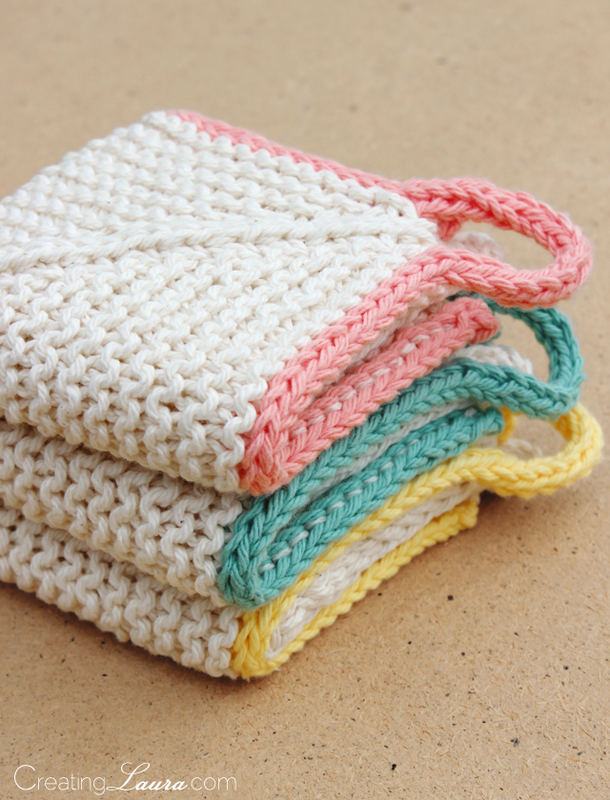 If you only buy one dishcloth knitting pattern in your lifetime, make it Sinkmates by Lorilee Beltman. The pattern is well written and easy to follow. Plus the finished dishcloths are as cute as they are useful. The best part, though, is that Lorilee is using this pattern to raise money for charity. She's donating all of the money that she makes from this pattern to the Special Olympics. 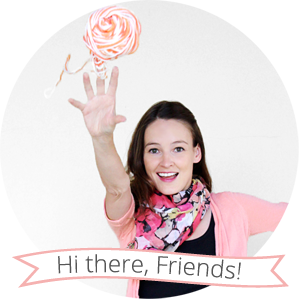 As of July 18th, Lorilee had already managed to raise $2,800! I knitted my dishcloths using Sugar 'n Cream cotton yarn in ecru for the main color. For the accent colors, I used Sugar n' Cream cotton yarn in yellow and rose pink as well as Bernat Handicrafter Delux cotton yarn in seaspray. 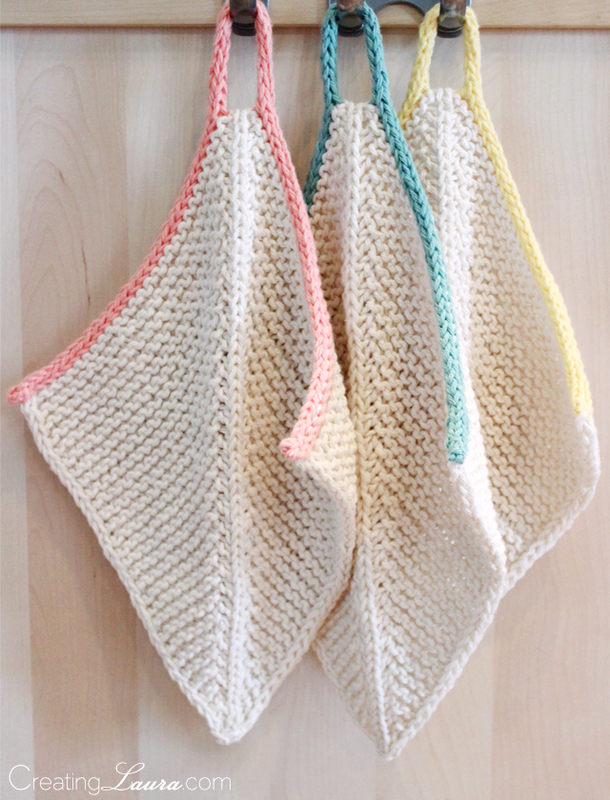 If left to their own devices (or hung up in my kitchen like in the picture below) my dishcloths tend to want to be kite-shaped as opposed to perfectly square, but they are willing to be squares with a little bit of coaxing. This has to do with my i-cord edging being less stretchy than the two sides without an i-cord edging. 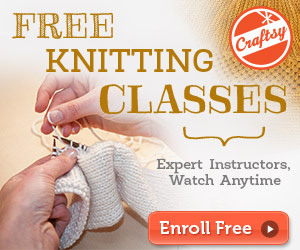 Lorilee mentions on the pattern's Ravelry page that going up a needle size or 2 for the i-cord could fix this issue, but I didn't do that and it doesn't bother me in the least. I like a hanging kite shape just fine. 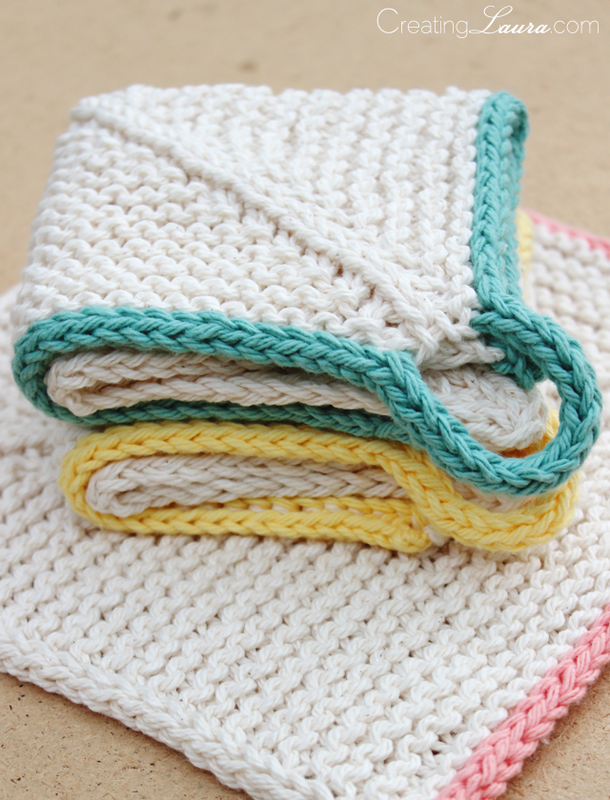 Have you made these dishcloths also? Do you like the pattern as much as I do? These are darling! I don't knit but my sister does-this would be a perfect pattern for her!